Posted 10/10/2011 10:26am by Gregg Keckler. Stayman Winesap apples, apple cider, homemade applesauce, Bosc pears, kale/Swiss chard, mystery item and mystery item. The Stayman are a nice, tart, crisp apple. These are one of the first "keeping" apples. They will stay firm and good until about January. They do have some black soot on them because of the rainy year. You can rub it off and buff them up and they will look great on your table. Don't forget - if the cider turns, you can boil it and then it will become sweet again. You can also freeze the cider for later. I made the applesauce with Rambo, Smokehouse, Greening, and Cortland apples. There is no sugar added to this sauce. You can let this jar sit on the shelf for years, but once you open it, refrigerate it. When you are finished with the jars, please return them. We can reuse them. Remember when we reuse them, we are not wasting energy costs to recycle. When you recycle the jars, they have to use a lot of energy to remake them into jars again. Please return the jars to us! The reason for 2 mystery items is that our vegetables took such a beating from the rain that there are not enough of any one vegetable to go around. You will definitely be getting 2 vegetables. They may be different from your neighbors vegetables. We just do not know who will get which ones, so it is as much a mystery to you as it is to us at this point! We got a lot of positive response for possible drop offs for our Winter Vegetable and Fruit Delivery. Please email us if you are interested in participating. We are working on coordinating places, people, and possible fruits and vegetables for the first delivery in December. We will keep you posted as we get things figured out. Have a great week! We look forward to hearing from you! Posted 10/7/2011 10:27am by Gregg Keckler. We survived the rainest September in our history. We are finally digging some potatoes and sweet potatoes, yams, parsnips and getting out the remainder of the carrots and red beets. We had a good year for butternut and acorn squash. We are picking a lot of apples right now. Sun Crisp are almost all picked and then Stayman Winesap, Braeburn, and Fuji. We have a good many acres of these varieties. We have quite a few Ida Reds, York Imperial, and Red Delicious as well that we are picking right now. Northern Spy apples were all picked last week. We are taking some apples and pears to auction because we have run out of cooler space. Here is how it will work: You will be able to go to our website and order items from our farm. You can pre-pay using paypal and or credit card. Then we will deliver to your business or neighborhood on the designated day. Weekday deliveries will be either Tuesdays, Wednesdays, or Thursday. We aren't sure which day yet. We may do a Saturday delivery for neighborhoods if there is enough interest. So if you would be interest in the Winter Deliveries - here are some of the things that you can buy. we have alot of acorn and butternut squash, sweet potatoes, white potatoes, turnips, neck pumpkins, orange pumpkins, some odd and unusual winter squash(hubbard, black forest, kiri and cheesecake), onions (while they last), apples (many varieties) Bosc pears, apple cider (unitil Christmas) Brussel sprouts, broccoli, cauliflower, and cabbage. 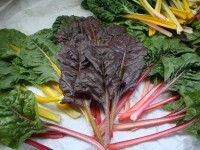 We will also have lettuce, greens and asparagus in April. We will have our beef and bologna, eggs, honey, jelly and jam. We will also have pies and sweet bread for sale. We will offer Ed Breckenbill's cheeses and Apple Valley Creamery's butter. We are making one stipulation for delivery - that your location have a minium $50.00 order - not each person, but each location. We will still bag each person's items separately, but the total for your drop off spot must be at least $50.00. For Example: The National Zoo wants a delivery of Winter Vegetables and Fruit. The monkeys order $5.00 of apples; the elphants order $35.00 worth of pumpkins; the bird house wants 1 gallon of cider for $5.00 and the lions order filet mignon (of course) for $30.00. Each critter gets online and pays using paypal and we deliver everything (individually bagged for each customer) to the National Zoo on the designated day. I hope this makes sesne to everyone. 1. How much does it cost? The costs are determined by what you order. No additional costs. 2. How often must I order? We will deliver once/month. We are asking each drop off spot to order a total of at least $50.00 each month. Each drop off location must commit to the 5 monthly deliveries. 3. What day will you deliver? We will deliver either a Tuesday, Wednesday, or Thursday (depending on response) and possibly Saturday (depending on response). 4. When does the Winter Vegetable and Fruit Delivery begin? It will begin the week of December 13. January delivery will be the week of January 17, week of February 14, week of March 13. and week of April 17. 5. Can we get a delivery to our house? Yes, if you purchase $50 worth of things. You can go together with a friend, etc.. Please send us an email if you would be interested in participating in Our Winter Vegetable and Fruit Delivery. We may be able to connect you with others near you who would like to participate as well. We are also working with our webhost to allow folks to purchase shares online beginning in 2012. Just think - NO MORE STAMPS! and NO MORE NASTY EMAILS from me asking for money! We will let you know when this will be available. We hope you enjoy the fall weather, the long evening hours and a bowl of good squash soup! Posted 9/26/2011 9:21am by Gregg Keckler. This week's share will include: Cortland apples, Asian pears, Apple cider, mystery item, tomatoes, acorn/butternut squash, broccoli, Spanish onion. The Cortland apples is a white fleshed sweet/tart apples. This weekend I made an apple pie with Cortland apples. I cooked some cider, sugar and pecans and poured it over the top crust. It was delicious! Enjoy the tomatoes. Each tomato I eat I keep thinking it will be the last of the season. If you can't use all the onions right away, keep them in your crisper in the frig. They should keep for quite a while. I am freezing all the half rotten onions. I chop them and put them in freezer bags for use in the winter. They are great in soup. Remember to give all the cartons and boxes back. Each quart box cost 12 cents, each pint cost 7 cents,each CSA box- $1.75, each tag - 75 cents, each strap to hold the tag - 11 cents, These things add up, so please return them to us along with the also jelly and honey jars too. If we can get into the ground, we would like to give some potatoes and sweet potatoes, but it has been so wet that we can't begin to get a plow in the ground. Hopefully this week will be sunny and dry out the ground and help the greens grow. We are also having more trouble with rot and fungi on cabbage, broccoli, cauliflower and Brussel sprouts this fall because of the wet and damp. Posted 9/23/2011 11:27am by Gregg Keckler. WE WILL BE THERE NO MATTER HOW MUCH RAIN! We are picking Stayman apples, arugala, corn, broccoli, peppers etc in the rain! So please come out and buy in the rain! PIES - Blackberry Pie. Raspberry pie and Peach pie and Apple pies - We have our own pies, sweet breads, honey and jams. Posted 9/19/2011 10:14am by Gregg Keckler. This week's shares will include: Honey Crisp Apples, Concord grapes, bell peppers, hot peppers, Sweet Candy onions, apple cider, and mystery item. When you get tired of Concord grapes here is a SIMPLE way to make grape juice. Use a half gallon container with a lid. Put 2 cups of grapes in the jar. Add about 1 cup of sugar (or less if you like it tart). Pour boiling water over the grapes and sugar. Put the lid on the container and put in the frig for at least 4 days. (The longer the juice sits the more flavorful it will be.) When you want to drink it - pour off the juice and discard the grapes. Great juice! You can cut everything in half and use a quart container if you like. This juice will keep for weeks in the frig. A word about the cider. Our cider is natural, unpasteurized cider from our own apples. Another farmer near us owns a cider mill. He makes the cider for us every Monday, Wednesday and Friday. So the cider is fresh. We use a different blend of apples in each batch - so each batch tastes different. Unpasteurized cider is very flavorful. If you do not like hard cider or you are giving it to children, you may want to pasteurize it yourself. Just empty the cider into a pot and cook it on the stove until it boils. Remove from heat. You can drink it hot (add a cinnamon stick and you have hot mulled cider) or cool it in the frig. It will stay sweet. I like good sweet cider. My stomach can't take the hard cider. It is amazing how each person's intestinal flora are different. Some folks say that fresh unpasteurized cider "goes straight through them", yet hard cider sits OK. and other people are the opposite. It is your choice! If you have never tasted fresh, unpasteurized cider before, please give it a try before boiling it. The taste is so good - no comparison to the stuff in the stores! Beginning this week you can order extra cider if you like. Posted 9/14/2011 6:36am by Gregg Keckler. Cook chicken in 4-5 cups water until tender; skim off fat and use broth. Cool and debone chicken. Add carrots, cabbage, potato, onions and crushed tomatoes with tomato juice to chicken broth. Add spices. Add just enough water to cover vegetables (the cabbage cooks down quite alot). Cover, bring to a boil, add de-boned chicken; reduce to simmer for 2-3 hours, adding more water as needed. Use a big pot - makes alot. Obviously you can adjust and add more/different veggies, etc. Posted 9/13/2011 3:50pm by Gregg Keckler. I just got an email from the Columbia Farmers market board and they have decide that starting in 2012 people will no longer be able to pick up CSA shares during the market hours. I am not sure what their decision is based on, but I wish that you would take the time to email the board and tell them that this is a bad decision. Posted 9/12/2011 7:39pm by Gregg Keckler. We have been shredding the cabbage and using it in egg rolls and stir fry. By the way, the Kale chips with cheese is great- even my 10 yea old eats it!